Congratulations to Alex Rodriguez. For this brief moment in time, somehow you are not the most unlikable PED user in baseball! 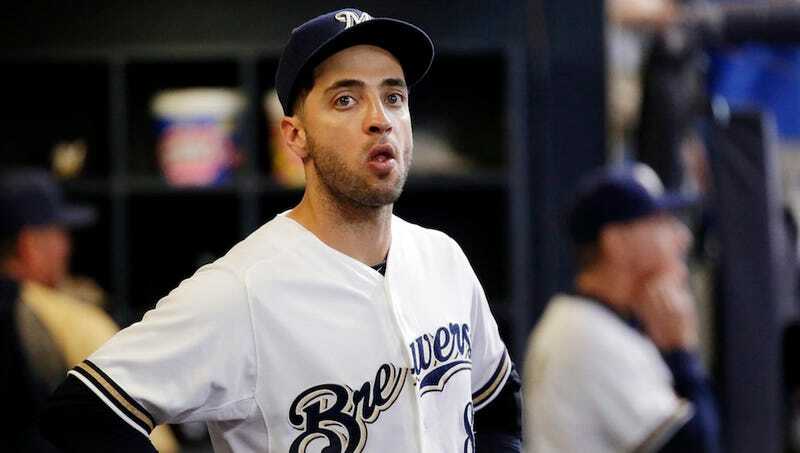 It took a heroic effort from Ryan Braun, but holy crap is this a bad look. Braun would eventually win his appeal—an independent arbitrator ruled that his urine sample was mishandled and was therefore inadmissible. But as the threat of a 50-game suspension hung over his head, Braun reportedly called up veteran players around the league in the hopes that they would publicly stand up for him. According to Yahoo, those players included Joey Votto, Troy Tulowitzki, and Matt Kemp. The Yahoo report also mentions how, on the first day of Spring Training when Braun held an impassioned press conference to protest his innocence, a person close to Braun first leaked Laurenzi's name to the media. "Ryan isn't currently commenting on anything — rumor or reality — related to his arbitration process or his suspension. He has acknowledged his mistakes, accepted his punishment, and is beginning to make amends and will comment at an appropriate time."